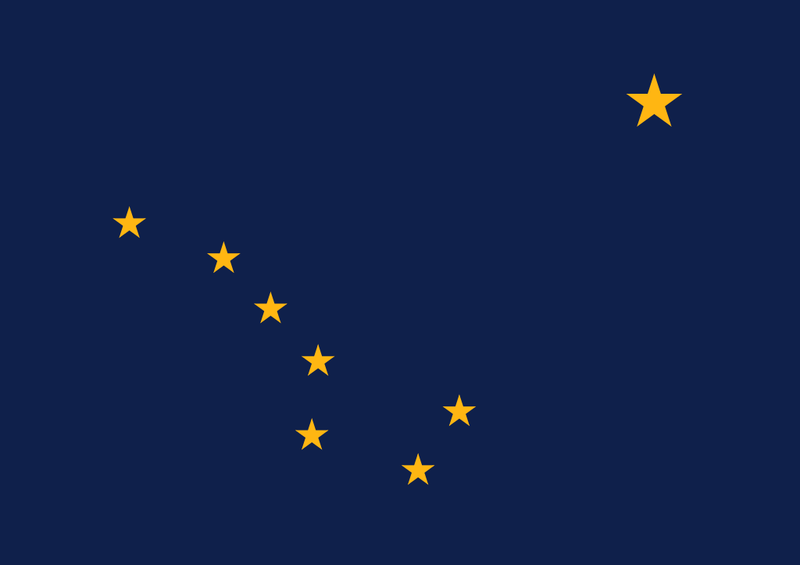 Alaska is the point of mainland America where it is generally considered humans first arrived in waves from Asia, including the ancestors of most indigenous South American peoples (25000-15000 years ago), the ancestors of many native Alaskan people and the Navajo and Apache Native American tribes (14000-9000 years ago), the ancestors of Aleut and Eskimo people (9000-6000 years ago). This makes the area valuable for archaeologists trying to understand how people came to the Americas. Alaska’s indigenous people (including Tlingit, Athabaskan, Innupiak, Aleut and others) and much of their culture still persists to the present day, although they were, of course, greatly affected by the intervening centuries of colonisation. 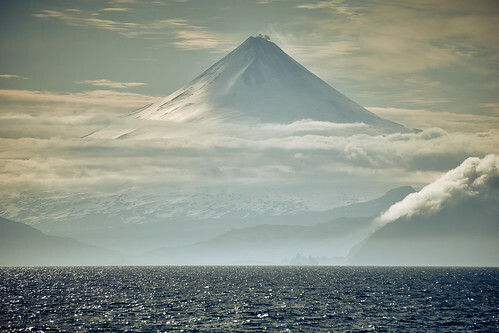 The first Europeans to arrive in Alaska were the Russians, who – in the course of charting the Pacific coast of Russia – crossed the strait which is now named after Vitus Bering, a Danish navigator who led a voyage across to what is now Alaska. There were violent clashes with native Aleuts and Tlingit people and disease had devastating consequences on the indigenous population. Bering himself was marooned on an island on the way back to Russia and died. Fur-trapping, particularly of sea-otters, became the major economic interest of the Russians in “Russian America” and a monopoly was given to the Shelikhov-Golikov Company (later, the Russian-American Company), which set up headquarters at Sitka. This early settlement was attacked in the Battle of Sitka by the Kiks.ádi Tlingit clan.